Do you have what it takes to escape in 60 minutes? Can you work together to follow the clues and solve the mystery? 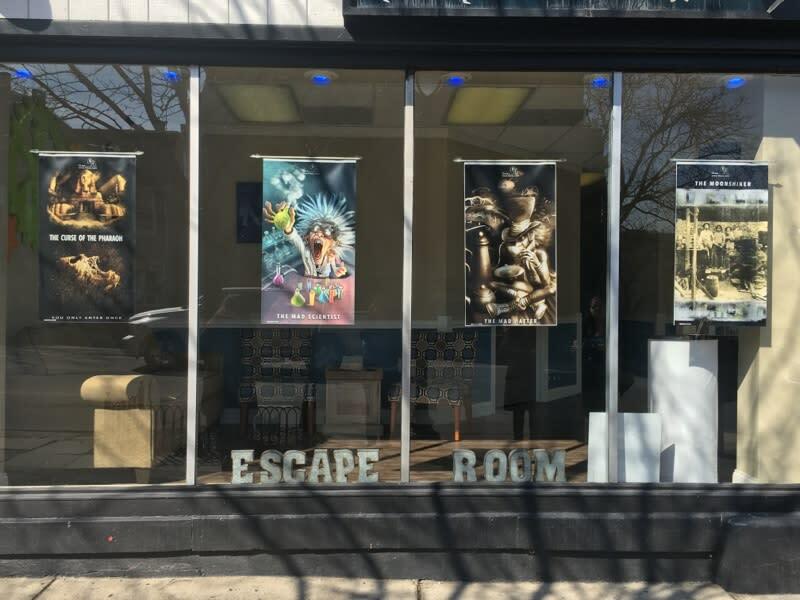 The Pocono Mountains has a brand-new escape room right in the heart of downtown Stroudsburg. Open seven days a week, Klues Escape Room is perfect for putting your mind to the test. Never heard of an escape room? It’s a physical adventure game where a group of people are locked in a room, and must use the clues of the room to solve a series of puzzles and escape within a set time limit. In escaping, you have solved the mystery. In a science experiment gone horribly wrong, we took our team of five to try and escape the Mad Scientist Room. Klues Escape Room can accommodate groups of all sizes. If you are arriving with more than eight people, be prepared to split up. Even with all the props and clues inside the room, we fit comfortably searching for clues. The Mad Scientist Room fits up to eight, even ten, but if you are claustrophobic I would suggest coming with a smaller group. As we worked together to gather each clue, we were always reminded of how much time we had left. In every escape room, a small monitor is mounted to reflect how much time remains. In addition to the monitors, each room also has a camera with someone watching your progress. If you get stuck, the monitor will chime in with a hint. Sometimes we found ourselves totally perplexed, even having the clues right in front of us. Without giving us the answer, the monitor helped us focus our attention in the direction we were already going. Racing against the clock as we worked together, time was running out. What was closing in on the hour only felt like 20 minutes. With only a minute left to spare, we escaped! Without communicating, listening to each other’s ideas, and working together, we wouldn’t have made it out of the room. Not only did we have a blast with good laughs, but we thoroughly enjoyed our team building experience. 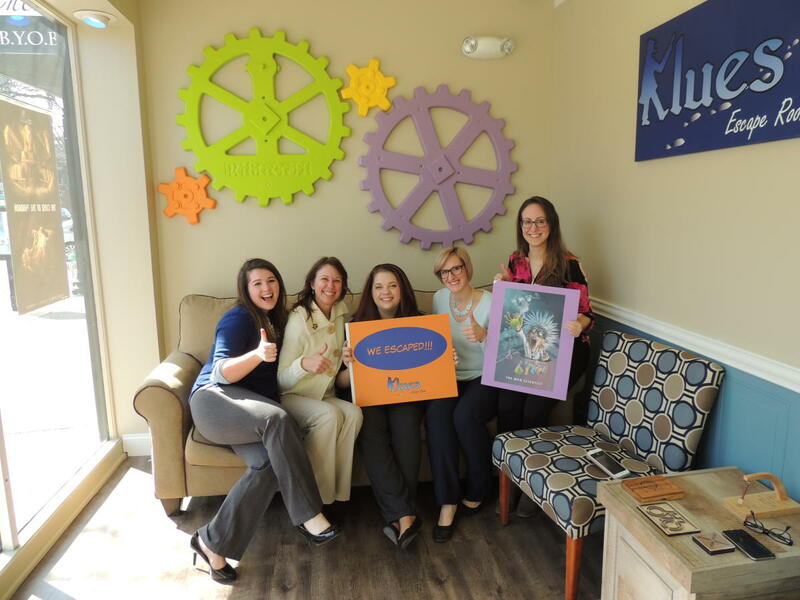 Klues Escape Room can customize a team building experience specifically for your group. Because of how quickly the rooms book, especially on weekends, Klues suggests calling ahead or scheduling online. 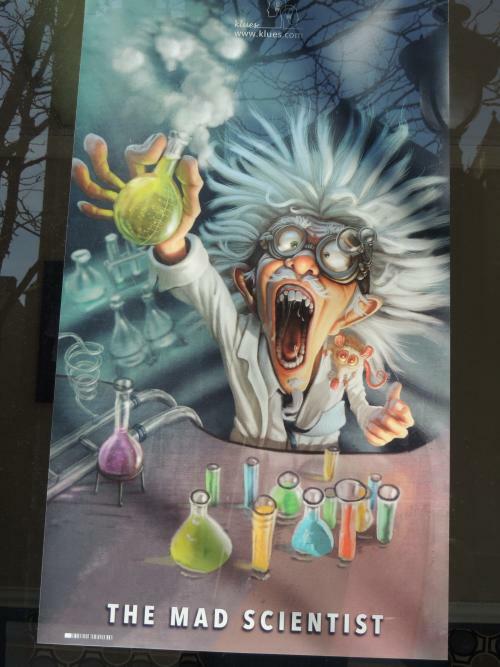 Currently, Klues has two escape rooms; the Mad Scientist Room and the Pocono Moonshiner Room. Set to open shortly are two new rooms; the Curse of the Pharaoh and The Mad Hatter. Klues is also set to open Escape Houses for larger groups to participate in on the weekends. After trying one room, you’ll want to try them all! The sophistication behind each room’s story is beautifully developed into a fun, interactive video game like experience. No pictures can be taken inside the rooms to avoid ruining the surprise for newcomers. Lockers are available in the lobby to keep your phones and personal belongings safe. Don’t worry, pictures are taken afterwards. Think you’ve got what it takes to escape? 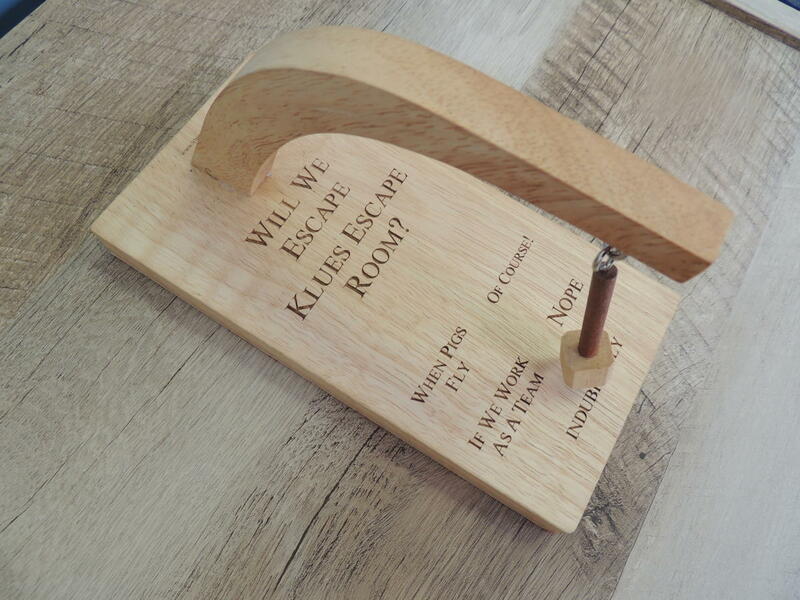 Visit Klues Escape Room for details on how to plan your escape in the Pocono Mountains. Interested in even more Pocono Mountains fun? Check out our family fun activities and things to do.